With only the odd spot here and there, I managed to get through puberty with my skin relatively unscathed. So foolishly I assumed that I’d reached a stage in my life where I didn’t have to worry about impetuous skin. I knew the drill- dry cheeks, shiny nose. Fast-forward the clock X years and I not only have the impending fine lines but I’m suddenly dealing with the unpredictable complexion of a teenager. Great. More often than I’d like, I experience itchy, dry patches on my face that erupt into angry red blotches at the slightest touch of a finger. 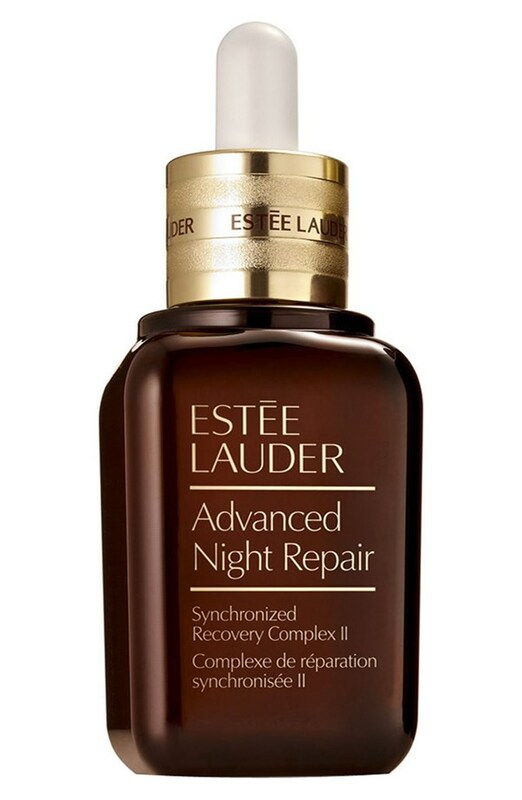 My go-to solution for particularly ugly episodes of hypersensitivity is Advanced Night Repair Synchronized Recovery Complex from Estée Lauder. The serum contains an extra large dose of hyaluronic acid for an instant hit of hydration as well as a comprehensive cocktail of antioxidants to repair damage. Its silky texture absorbs into the skin easily without any tacky residue. I wake up the next morning without a trace of redness, just soft, supple, well-rested skin. But not all sensitive skin is created equal. Sensitivity has a multitude of symptoms from rosacea and dryness to rashes and eczema. Studies have shown that more than 50% of women can relate to suffering from one or more of these symptoms. There are a few common mistakes that could be exacerbating the problem; here are four of them. The skin’s protective barrier is made up of natural oils (lipids) that trap moisture in and keep irritants out. Age, hormone imbalances, pollution, harsh products or poor skincare all play a role in the breakdown of this barrier causing tiny invisible cracks in the skin, allowing moisture to escape. This leaves skin parched and flaky. To repair the skin’s barrier, look for products that contain ceramides that work like a protective shield and reinforce the outer layer of the skin. Evening primrose, jojoba and sweet almond oils are also very effective. Many gel and foaming cleansers contain harsh surfactants that strip the skin of its protective oils. A good rule of thumb is the more lather, the dryer your skin will be. Sodium lauryl sulfate and sodium laureth sulfate are the main culprits so watch out for these in ingredients lists. Opt for a sulfate-free face wash such as Cetaphil Gentle Skin Cleanser which is mild enough to use on a baby’s skin. I’m a firm believer that exfoliation is an essential part of any skincare routine. Getting rid of those dead cells not only smoothes the skin, but also encourages cell rejuvenation and helps keep hyperpigmentation at bay. But overdoing it can have seriously detrimental effects on sensitive skin. Instead of buffing granules, opt for a gentle AHA cream exfoliant that will gently breakdown and dissolve dead skin cells without damaging the protective barrier. Elemis Papaya Enzyme Peel is a great option. More often than not, hypersensitive skin will not take too kindly to unfamiliar products. So it’s a good idea to perform a patch test before introducing a new beauty buy. For skincare this is best done on the side of your neck; rub it in and leave it for 24 hours. If nothing has happened after that, then you’re good to go! Do you have sensitive skin? What’s your go-to solution?